Watch McCain's speech on CNN.com/live! 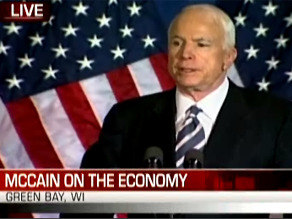 (CNN) - John McCain is laying out his economic proposals in a speech in Green Bay, Wisconsin. He's expected to sharply criticize Barack Obama's policies as well.